Attention all buyers! Great Investment opportunity with TURNKEY PRICE and Look at what you get! This is a great opportunity to get a great investment property or your first home. 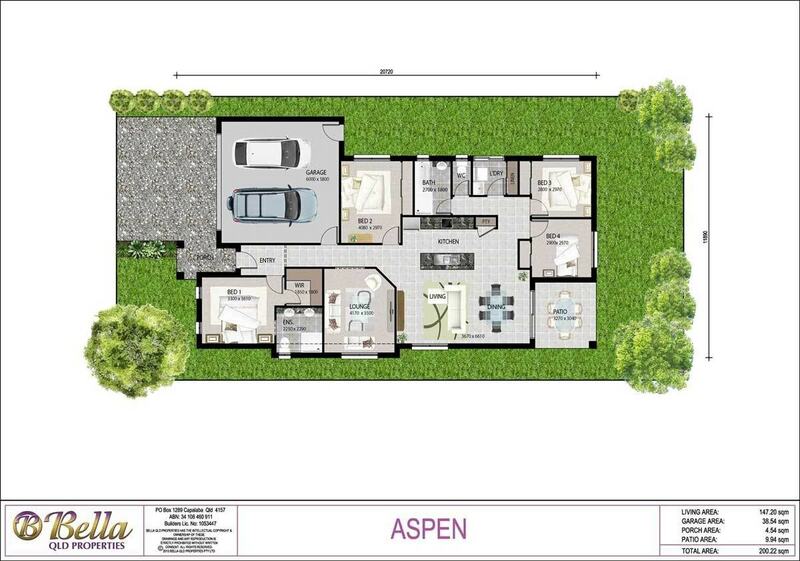 This package includes our Bella custom designed ASPEN 200.22m2 that offers 4 bed, 2 bath, 2 living, 2 car and we have packaged it up with LOT 10 924m2 at the OAKLANDS ESTATE. This package includes our Innovative Series TURNKEY Inclusions. Features include : 1200mm Front Entry Door,20mm Stone bench top to kitchen, 2.5 Ceiling heights throughout ,Fly screens ,Roller blinds to bedrooms , Built in Robes, and many more inclusions!! This is a great house and land package for the astute investor and first home buyer.